AT&T crews had a busy week, lighting up 24 new markets with its 4G LTE signal. Major markets like Denver, Colorado; Louisville, Kentucky; Milwaukee, Wisconsin; Daytona Beach and Pensacola, Florida now offer data speeds as much as ten times faster than 3G speeds. 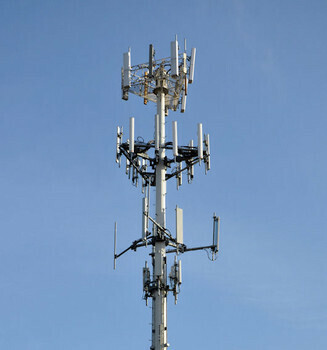 Smaller markets that now receive AT&T's 4G LTE signal include Twin Cities, Minnesota; Provo, Utah; York, Pennsylvania; Anne Arundel County, near Annapolis, Maryland; and Fairfield County near Danbury, Connecticut. All together, 150 million people can now access AT&T 4G LTE and that is twice the number that could access the carrier's speediest service last year. By the end of next year, that figure is expected to rise to 250 million people and hit 300 million people by 2015. As of today, the mobile operator covers 103 markets with LTE. AT&T continues to trail Verizon in the number of markets it covers with LTE. Big Red's 4G LTE signal reaches into 440 markets, covering more than 250 million people although the carrier did have a huge head start. AT&T does have a comfortable lead over Sprint. 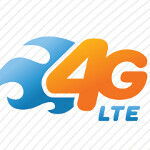 That carrier just started building out its LTE pipeline in June. My area just received the 4G LTE signal yesterday.... Finally. We got LTE turned on in Columbus, OH on Thursday night! Ironically, while AT&T was lighting up 4G markets, all other areas were still struggling to try and latch-on to AT&T's 2G. But, congrats to all AT&T's new makeshift 4G LTE markets!! If you still have a 2G phone, you have bigger problems than not being able to get cell coverage. Just saying. Cons: Well, that signal has been killing my battery even on Power Saving Mode on my Galaxy S3 when I'm surfing the web away from a wifi signal. Nexus 4 with HSPA+ problem solved. Honestly, I’ve been considering it. And the price of the Nexus 4 is pretty spot-on, as well as timely updates directly from Google. However, I can’t cut myself short of a removable battery and a micro sd card slot, especially when the phone limited to 16GB of internal storage max. Those 2 options are essential to me in a smartphone. But I’ve heard there’s a way around the LTE signal by making a few changes to the APN settings. I’ll have to check more into it. Yes Sir, T-Mobile down 9.44Mbps, up 3.63Mbps. Personally, have no need for LTE. lol Welcome to the joys of LTE. 3000+ mAh needs to become the new standard for high end LTE smartphones. Lol, If I'm not able to successfully switch the APN settings back to a 4G signal, I might have to purchase the 4200mAh Extended Battery. Link: amazon.com/Hyperion-Extended-Compatible-GT-i9300-T​-mobile/dp/B008GWIVTQ/ref=wl_it_dp_o_pC_nS_nC?ie=U​TF8&colid=3JWW4AYG2IE4X&coliid=I1OZQAJBMGK4E1 Come to think about it, I might just purchase it anyway. And that battery fits the S3 perfectly. No coverage in New Jersey. NO LTE in WI yet. WI coverage is a lot of edge. Travel to the Dells for work and once I leave MN into La Crosse over to the Dells is all Edge. Npw VZW coverage isn't any better or so says my Jetpack. Once AT&T has acceptable signal in southern utah ill be able to get a work smartphone! yay! Im happy with att LTE since there's no Verizon in my area I had 2 choices for LTE att or another company I went with att so far I been happy. If you live in CT, this might interest you. Just retested my speeds, here's a comparison: T-Mobile, download speeds, 13.83Mbps, upload 3.93Mbps; Xfinity Wifi, download 16.89Mbs, upload 5.37Mbps, not too bad. Can someone please post their LTE speeds on Verizon and AT&T just curious, want to see how much faster. How do u post up pics on here? Haha Well I don't live in CT I live in san Juan Puerto Rico and I have screen shots of atts hspa and LTE speeds from my galaxy s 3 on hspa 12.22 mbps up 2.92 dwn on LTE 35.80 UP 12.34 DWN not bad since Verizon dnt exist over here I can't post up there speeds lol other carrier to have LTE here is CLARO but there LTE is slooow compared to atts LTE . Lol nice, I go to see my mother in Carolina at least once a year. Those are really impressive speeds. We have all the carriers here. However, Verizon and AT&T will bankrupt and take you to the cleaners. T-Mobile offer pretty good prepay plans. By the unlocked SGNx. I live in the "Small Market" of the Twin Cities, MN. I get about 19.99mbps with my at&t HTC One X. I've never received anything lower than 16! It's pretty sweet. Tried ATT's 4G in Houston back in September... blazing fast in the morning, then at about 9am, crapola. Seeing the spinning wheel EVERY TIME you try to play a Youtube video gets nauseating. Returned the phone before the 30 day window. (I hear it's 14 days now?) My old 3G still runs circles around anything 4G here. Netzero has impressive speed, about $50 mo for 4gigs/mo of 4G... but NO CONTRACT required. Keep your same phone number. Sweet. I got it in Milwaukee, WI for my iPhone 5. I have been getting consistent download speeds above 50 mbps all week. I hope they stay this fast and doesn't get to clogged. Now, that is fast, faster than my Xfinity at home.